Oh, happy days! Ganttic got reviewed by FinancesOnline, and we brought home TWO awards. 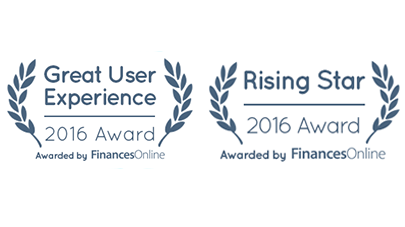 In their FinancesOnline Ganttic review here this popular review platform revealed that one of the awards was given to us for great user experience and another one for being a rising star in the online project management software category. Additionally, our product was featured in their top 15 project management software section. Since we are pretty sure a software is not going to get an Oscar, we thought this would be a good time to give a memorable acceptance speech while crying and waving to the audience. Thank you all so very much. Thank you FinancesOnline. Thank all of you reading this. Thank you so much for this incredible honor. Wow! Really, really, really truly - WOW! We know that our users have been saying a lot of real-real nice things about us for a while now but we’re just shaking in our server now. Thank you our users for having great experiences with Ganttic every day. You have made Ganttic a better software in ways you will never understand. Developing software is work... it does kind of work... but there's no one we'd rather work with! What an unbelievable resource planning talents you are! None of this would be possible without you! This award is for you, our fans. Who loved us through thick and thin, that is all we ever really need. Everybody, we love you. We love you all. We love you. Everybody who's involved with this, we love you. we love you. We have to thank all the other software in project portfolio management and resource planning categories for being a wee bit worse than us. We couldn't have done it without you. You raised our game. We are here, and we are very happy! We are happy to be here, many others haven’t had the same luck. And of course, Mom, Dad, there is no way that we can express to you what we are feeling right now, our heart is full to bursting, except to say, ‘We are the king of the world! Honestly, this is for you, our users. As a starting software we lived in the depths of the internet, and you're the people we wished would use us. You're the people that made us want to be a resource planning software. We are so proud to be here. We are proud to be a resource scheduling software and we are gonna keep on rising like a star.